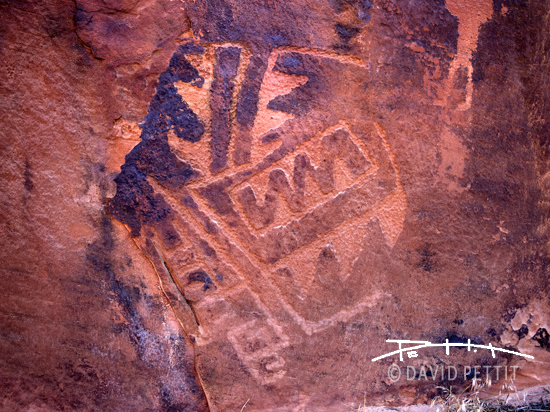 rock-art sites left by our indigenous people. onto the sandstone with mineral dyes. This work is a petroglyph!